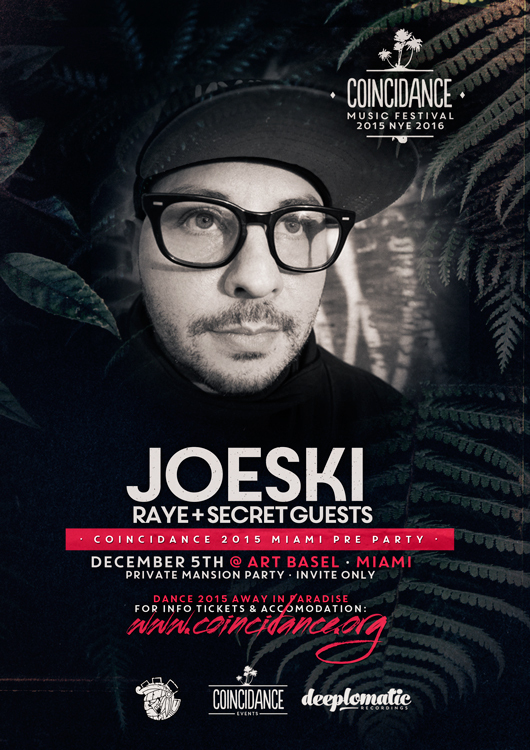 Coincidance Music Festival presents Coincidance Preparty in Art Basel Week in Miami. Location will be sent the day of the event. No parking is allowed in front of the mansion, directions for parking will be sent the day of the event. December 30 – January 2 in Playa del Carmen, Mexico with more than 30 artists!